What do I do if I observe Someone Dumping Trash and Other Pollutants into Storm Drains? 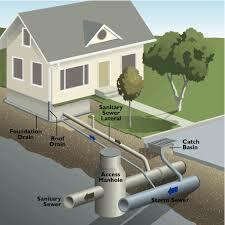 Only rain belongs down the storm drain system. Dumping into storm drains is illegal. To report illegal dumping in Needham, call 781-455-7550 between 8am to 5pm. After 5pm, contact the Needham Police at 781-455-7570. What is Stormwater and Why is it a Problem? Stormwater is water from rain and snowmelt. As rain and snow falls to earth in forested and undeveloped areas, it is either absorbed or it slowly runs off and dissipates. In a densely urban environments like Needham, where rooftops and paved areas not only prevent the water from being absorbed, but also help it run off at a much faster rate, problems arise. Unmitigated, the stormwater could accumulate, causing nuisance flooding and possible threats to public health and safety. Flooding is only a part of the problem. 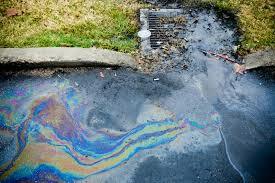 As the rain falls onto our streets and runs off, it carries with it pollutants such as pet waste, gasoline, oil, and heavy metals. Pesticides, herbicides, and fertilizers are washed from lawns and other green spaces. Sediments are eroded by wind and water from construction sites and un-vegetated landscape areas. 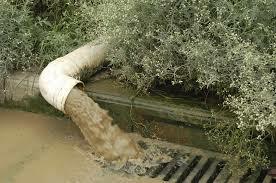 With the passage of time, these pollutants will buildup in our local waterways causing environmental damage. What is an Impervious Surface? Impervious surface means those disturbed or hard surfaced areas that either prevent or restrict the natural entry of water into the soil. Rooftops, buildings, streets, parking lots, sidewalks, asphalt, concrete, other paving, driveways, gravel, patios, artificial turf and storage areas are all examples of impervious surfaces. Impervious areas effect natural infiltration, creates more runoff, increases the rate of runoff and alters runoff patterns of stormwater that drains from an area. Surface runoff is water, from rain, snowmelt, or other sources, that flows over the land surface, and is a major component of the water cycle. Runoff that occurs on surfaces before reaching a channel is also called overland flow. A land area which produces runoff draining to a common point is called a watershed. When runoff flows along the ground, it can pick up soil contaminants such as petroleum, pesticides, or fertilizers that become discharge or overland flow. Urbanization increases surface runoff, by creating more impervious surfaces such as pavement and buildings do not allow percolation of the water down through the soil to the aquifer. It is instead forced directly into streams, where erosion and siltation can be major problems, even when flooding is not. Increased runoff reduces groundwater recharge, thus lowering the water table and making droughts worse, especially for farmers and others who depend on water wells. Sewers and Storm Drains the Same Thing? Most communities like Needham have completely separate systems. The sewer system, also known as the sanitary sewer or wastewater sewage system, conveys household, commercial and industrial wastewater through a separate plumbing system into an underground sewer pipe system. Wastewater in the sanitary sewer system is from sources such as water and waste from sinks, toilets, and washers, to name but a few. Discharges to the sanitary sewer system is conveyed and treated at the Deer Island Wastewater Treatment Plant prior to being discharged into Boston Harbor. The storm drain system on the other hand, discharges primarily untreated stormwater runoff directly into the Charles River or other water bodies in Needham. Paint thinner and paint products, used motor oil and antifreeze, pesticides and fertilizers, sediments containing heavy metals, cigarette butts, trash, animal feces are but a few of the many pollutants found in the system on a regular basis. We all have the ability to help reduce stormwater pollution by taking individual actions to pick up after our pets, dispose of trash and wastes properly, and use fertilizers and insecticides sparingly and wisely. A catch basin is a curbside receptacle whose function is to convey water from streets and other impervious surfaces into the storm drainage system. The design of this drainage structure includes a sump and hood that captures and temporarily stores some pollutants such as oils and sediment. 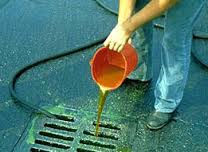 Maintenance to clean out the sump removes the stored pollutants and prevents them from washing further into the storm drain system and into receiving waters such as the Charles River and Alewife Brook. What Watershed am I in? 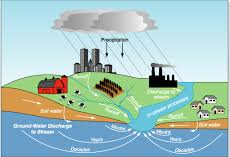 A watershed is made up of the land area that drains to a specific body of water. Needham lies within the Charles River watershed. For more information see the Charles River Watershed Association website. How Do I Order a Rain Barrel? The Town of Needham offers rain barrels at a discount to Town residents. Rain barrels are pre-ordered and paid through the Department of Public Works Admin Office and picked up at the Public Service Administrative Building (PSAB) at 500 Dedham Ave. For more information, contact the DPW and continue to check the Public Works website for yearly promotions. A rain garden is a shallow depression that is planted with deep-rooted native plants and grasses. The garden should be positioned near a runoff source like a downspout, driveway or sump pump to capture rainwater runoff and stop the water from reaching the sewer system.